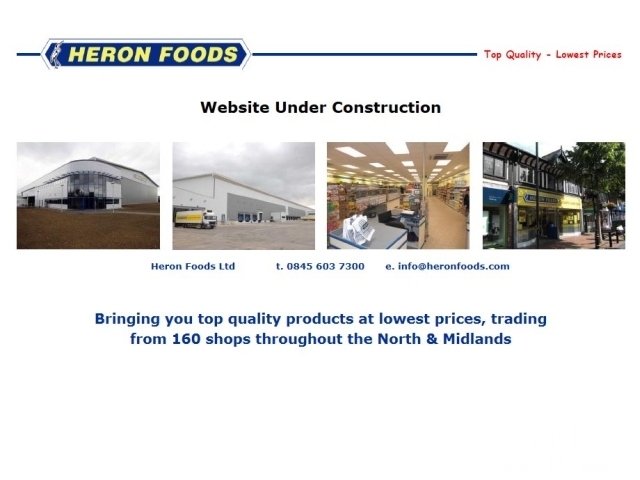 After much speculation, family-owned frozen food specialist Heron Foods has revealed itself as the new occupant of Wallsend’s former Woolworths store. 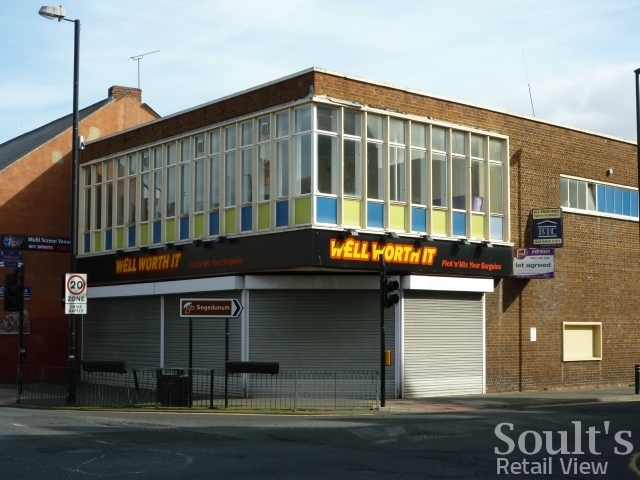 Following my visit two months ago, I reported that the property at 2-4 High Street East – vacant since the shortlived Well Worth It moved out – had gained a ‘let agreed’ sign. Then, by a fortnight ago, the shutters had been painted blue and the Well Worth It signage removed, revealing traces of old Woolworths lettering underneath. Now, following a helpful Twitter tip-off from @waiteIT, I was able to pay a return visit to see the store’s new Heron Foods signage in place. It’s just a coincidence, of course, but the building’s blue and yellow cladding is a much better match for Heron Foods’ corporate colours than it ever was for Woolworths’. 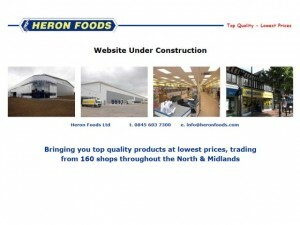 When I visited, there was no indication on site of when the store would open, and the publicity-shy retailer’s web presence – just an ‘under construction’ page – means that information on Heron Foods and its 160+ (and growing) stores can be hard to come by. However, one quick call to the head office number and I was able to find out that the Wallsend store is set to open this coming Monday, 21 November. 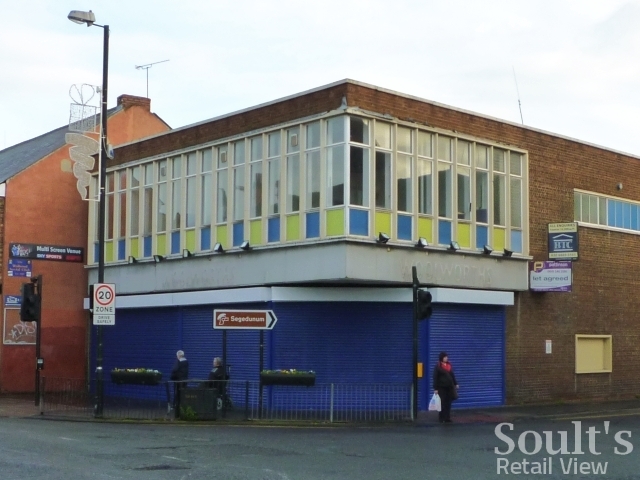 The reuse of any former Woolworths is good news, but the arrival of a new supermarket on Wallsend High Street makes the story doubly significant. 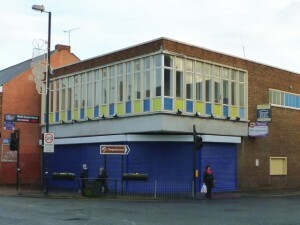 As I’ve noted before, Wallsend town centre was dealt a blow when the Co-op supermarket closed in 2009, and Morrisons – who had bought the site – aborted plans to open in its place. The recent conversion of the town’s Netto to Asda has partly helped to plug the gap, but its location, in Hadrian Road, means that there are limited footfall benefits for the High Street proper. 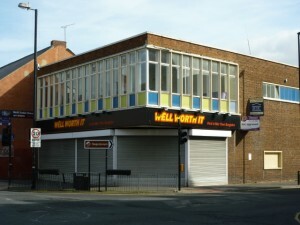 With the planned redevelopment of the Forum shopping centre – including a new, large supermarket – not expected to complete until at least 2013, Heron Foods’ move onto Wallsend High Street is a canny one. Its value offer – increasingly featuring dry as well as frozen goods – is likely to appeal to cost-conscious local shoppers, while the decent-sized ex-Woolies store is big enough to feature a wide product range. 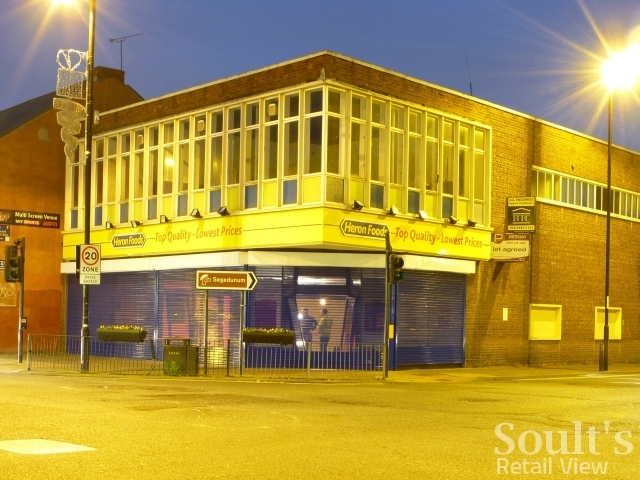 The retailer will surely be hoping that by the time any new competitor opens, Wallsend’s shoppers have already got themselves into the Heron habit.